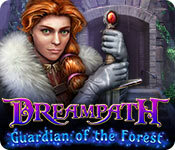 Dreampath: Guardian of the Forest is rated 4.2 out of 5 by 18. Rated 5 out of 5 by jeaniejack from Fun game I never write reviews but I really liked this game. I am not a HOP lover but the HOP in this game are varied without being frustrating. Kept me entertained the entire game. Rated 5 out of 5 by shelterhill from What a gem Just played this whimsical game. I loved it so much, the graphics were the best I've seen in a long time. Just gazed at it before moving on. I don't know why I didn't play this one earlier but I'm glad I finally did!! My only criticism is that a lot of minigames had no instructions. Most of them were not difficult to figure out but it seems a bit hastly done. But never mind, this little flaw didn't keep me from having a great time. Keep up the good work developers! Rated 5 out of 5 by rpggramma from Loved it!!! What can I say? I can say NEAR PERFECT!!!! I have all 3 games and they are so nice!! Everything is so good, the colors, the scenery, the voiceovers the HOs, the puzzles, the calm and peace of the game; all are great! The game is linear, no running back and forth; everything follows right behind each other. The map and info is great; you do not loose your place or get confused! Puzzles could have been a little more challenging, but I did appreciate calm and peace atmosphere!! I definitely recommend!!! Thanks devs!!! I could keeping playing this for a long time!!! MUCH FUN!!!! Rated 5 out of 5 by Sunoe from What A Surprise! Surprisingly fun game! Well done. I was hooked after the first few minutes, and extremely pleased with the storyline and especially the length of the game! I'll definitely be looking into more Dreampath games! Rated 5 out of 5 by deddu from Beautiful Forest Save the forest from evil. The graphics in this game are some of the best I have seen. The puzzles are really good and with some of them you have to figure out what they want you to do (as no specific instructions) which I found refreshing. The hidden objects are of many types and not just lists. Overall a wonderful adventure. Rated 5 out of 5 by Cbarbatus from The best I've played Everything about this game is excellent. The puzzles are fresh and not impossible to solve but some require a lot of thought. The HOP's are done very well with much more than just lists of items to find, and with superb graphics to hide items in plain sight. The story is well done. I am not one to write down needs, so I used hints here and there to go back to fill in actions, but very few. All in all, a really superior game. Congrats to the developers! Rated 5 out of 5 by BooksandGameFan from I was simply enchanted by this 5 Star Game! 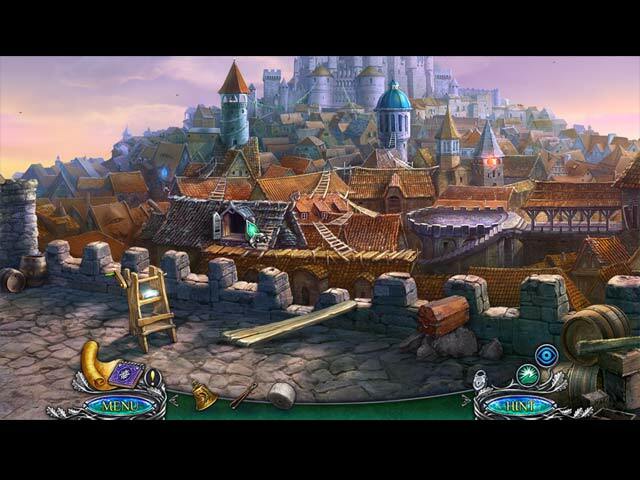 I was simply mesmerized and enchanted by this gorgeous fun and whimsical game! This for me, is what a 5-star game looks like. I finished the whole game including the bonus game and I have to say I was so sorry to see it end! Usually, by the bonus I'm getting bored and kind of ready for the game to be over but not with this game, I didn't want it to ever end! The graphics were so beautiful I didn't want to leave the enchanted realm and come back to reality so I started playing the game all over again, something I've never done before! I will say most of the mini-games were relatively easy as I was able to do them. 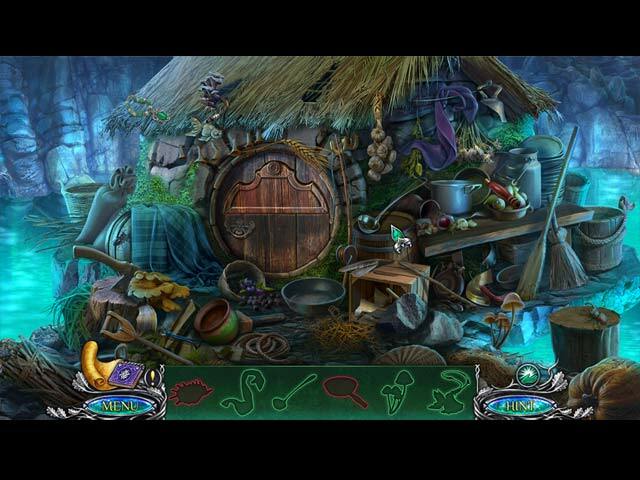 The hidden object scenes were highly interactive sometimes there were 2 or 3 levels to them! The music was lovely and fit each scene, but it was the scenery for me that stole the show. Simply breathtaking and enchanting! I've never purchased a game from this developer that I didn't absolutely love and I really wish they would put out more games more often. I know it takes time to make something this lovely and thought out, but I do wish we'd get at least 2 or 3 a year from Boolat instead of so many from a select few game developers. I normally do not buy the CE edition of games but I just had to have this game and BF was offering such a great sale that I purchased it as soon as the demo ended and I'm so very glad I did! The story does wrap up nicely in the SE edition so you do not need to purchase the CE unless you want the bonus game and the collectibles, this SE edition will do nicely for half the price! I highly recommend this game! Rated 5 out of 5 by SparkleGlow100 from Gorgeous and dreamy forest...just beautiful... Absolutely love all the nature and forested areas in this game! What a wonderful game to play in the winter, when I'm missing the summer, warmth, plants and flowers. Ahh! This is another game I've been taking my time with and playing along-side other games to ensure I enjoy every second of it. I wasn't a big fan of the characters so I silenced their voices, which made it a much better experience for me. Rated 5 out of 5 by biscuitsmama from IT WILL TAKE YOUR WITS AND SPELLS TO SAVE THIS MAGIC FOREST AND THE KINGDOM I love fantasy games and Dreampath Guardian of the Forest is an absolutely wonderful game. In fact, although I enjoyed the last one in the series Curse of the Swamps, this one is even better. I found the story to be excellent with gameplay that kept my attention all the way through the bonus game. In Guardian of the Forest you play the game as an apprentice wizard to Regis the Master Wizard of the kingdom. You have been called by Regis to continue your education since you show great promise but it isn’t long before you will be tested and will need to use every bit of magic and spell you have or may gain to save Regis as well as the kingdom from the grip of an evil wizard who is now controlling the king. Not only is this new evil controlling the king he is destroying the beautiful magic forest that surrounds the kingdom. As you play the game you will learn the story of a deep hatred and jealousy that drives this evil wizard. Since there are so many reviews already posted you most likely know of all the details by now so there is no need for me to go into them. I will simply say that I enjoyed all of the HOPS and mini-games that were scattered along my path as I played the game. Most of the mini-games were fairly easy but still fun. 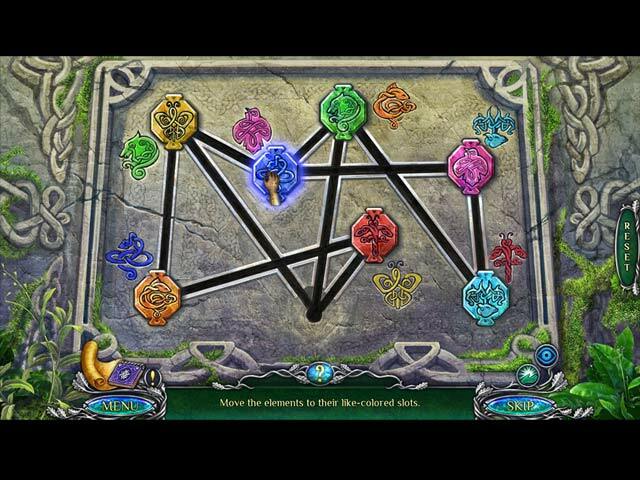 I enjoy playing a beautiful fantasy game where I can take my time with the puzzles and the HOPS rather than having a puzzle that I need to skip. If there is any shortcoming to the game it is that there are either no instructions or very minimal ones at best on the puzzles. Most of them can be solved or figured out without instructions but there were times when I really had no idea how to start and simply had to fiddle my way around to figure out how to solve the puzzle. If you are like me and love a great fantasy game, I recommend that you give Guardian of the Forest a try along with other games in the series. It is a beautiful game with a good storyline and a good gameplay factor. As always I recommend that you try the demo to see if this is a game you will enjoy.